February 29, 2019 — New York has drastically increased its number of unagi-ya, or Japanese-style freshwater eel restaurants, of late—from zero to two. Hachibei in Midtown East and Unagi in SoHo both specialize in traditional preparations of the slippery ray-finned fish. In Japan, eel is as prized as Kobe beef (and more endangered), but in New York—which is more accustomed to consuming the far less expensive anago (sea eel) in sushi—it’s relatively unknown, at least for now. Japan is devouring the delicacy at an alarming rate. Nearly 75 percent of the world’s unagi is consumed in the country; 99 percent of that is industrially farmed from baby glass eels (anguilla Japonica). Conservationists warn that the species is overfished and could face a fate similar to that of bluefin tuna. February 25, 2019 — Maine’s lucrative baby eel industry will likely face tighter controls this year designed to thwart poaching, as officials consider requiring state law enforcement officers to oversee the packing and shipping of the wriggling critters. Baby eels, called elvers, are an important part of the worldwide supply chain for Japanese food. Maine fishermen harvest them from rivers and streams every spring, and they are typically worth more than $1,000 per pound. No other U.S. state has a significant elver fishery. But poaching has dogged the industry. Last year’s season was shut down by state regulators two weeks early after investigators unearthed concerns about illegal sales. “That is a way to secure the shipment and ensure that the package is not tampered with and elvers illegally harvested will not end up in those shipments,” said Jeff Nichols, a spokesman for the marine resources department. The Atlantic States Marine Fisheries Commission’s American Eel Management Board approved Addendum V to the Interstate Fishery Management Plan for American Eel. 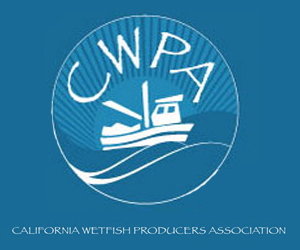 The Addendum increases the yellow eel coastwide cap starting in 2019 to 916,473 pounds. This modest increase in the cap (less than 1%) reflects a correction in the historical harvest. Further, the Addendum adjusts the method (management trigger) to reduce total landings to the coastwide cap when the cap has been exceeded and removes the implementation of state-by-state allocations if the management trigger is met. Lastly, the Addendum maintains Maine’s glass eel quota of 9,688 pounds. 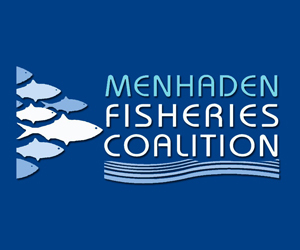 The Addendum responds to concerns with the previous Addendum’s (IV) yellow eel management triggers given the timing and precision of landings data and the challenges of state-by-state quota management. 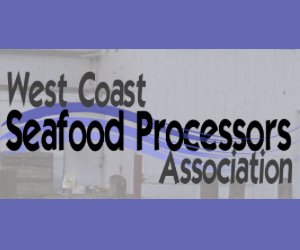 Under Addendum IV, management action would have be triggered when (1) the coastwide cap is exceeded by more than 10% in a given year; or (2) the coastwide cap is exceeded in two consecutive years, regardless of the percent overage. If either of these triggers had been met, state-by-state quotas would have been required to be implemented. Under Addendum V, management action will now be initiated if the yellow eel coastwide cap is exceeded by 10% in two consecutive years. If the management trigger is exceeded, only those states accounting for more than 1% of the total yellow eel landings will be responsible for adjusting their measures. A workgroup will be formed to define the process to equitably reduce landings among the affected states when the management trigger has been met. 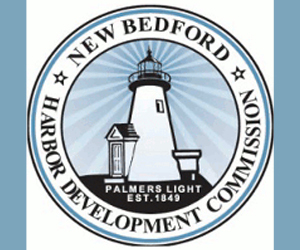 The Board slightly modified the glass eel aquaculture provisions, maintaining the 200 pound limit for glass eel harvest but modifying the criteria for evaluating the proposed harvest area’s contribution to the overall population consistent with the recommendations of the Technical Committee. Under the revised provisions, the Board approved Maine’s glass eel aquaculture proposal for the 2019 fishing season, allowing for an additional 200 pounds of glass eels to be harvested for development in domestic aquaculture facilities. This amount is in addition to the Maine’s glass eel quota. The implementation date for Addendum V is January 1, 2019. 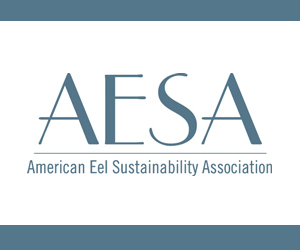 The Addendum will be posted to the Commission’s website by the end of August at http://www.asmfc.org/species/american-eel under Managements Plans. For more information, please contact Kirby Rootes-Murdy, Senior Fishery Management Plan Coordinator, at krootes-murdy@asmfc.org or 703.842.0740. August 9, 2018 — Maine’s efforts to expand its lucrative baby eel fishery by increasing its annual quota by 20 percent were shot down Wednesday. But the state did secure an extra 200 pounds of yearly landings to help a Thomaston eel farmer build a new aquaculture center. The Atlantic States Marine Fisheries Commission, the interstate body that oversees the American eel fishery, cited the “depleted” state of the stock when it rejected the proposal. Licensed Maine fishermen are currently allowed to harvest 9,688 pounds of baby eels, which are also called glass eels or elvers. Maine sought to increase that annual harvest to 11,749 pounds. The final vote was 13-5, with each of the 15 member states, as well as the District of Columbia and two federal agencies, getting a say. During discussion, commissioners cited the difficulty that scientists face when estimating the size of the American eel population, especially baby eels, but noted that scientists generally agreed that the stock is depleted. Eels do not reproduce until they are about 30 years old, at the end of their life cycle, so measuring the impact of harvesting babies won’t be known for decades. As a reminder, Board meeting proceedings will be broadcast daily via webinar beginning August 7th at 10:15 a.m. and continuing daily until the conclusion of the meeting (expected to be 1:45 p.m.) on August 9th. The webinar will allow registrants to listen to board/section deliberations and view presentations and motions as they occur. No comments or questions will be accepted via the webinar. Should technical difficulties arise while streaming the broadcast the boards/sections will continue their deliberations without interruption. We will attempt to resume the broadcast as soon as possible. Go here – https://attendee.gotowebinar.com/register/3101304879756771073 – to register for the webinar. June 27, 2018 — Greenpeace Japan is highlighting the prevalence of illegally-sourced eel in Japan’s supply chain and is calling for more traceability in advance of the midsummer day of the ox, a holiday celebrated by eating grilled eel. This year it falls on two days: 20 July and 1 August. Greenpeace issued a report on 4 June that shows eels are at high risk from poaching and illegal transactions. The organization conducted a survey on eel procurement at major supermarkets, and found it was rare for the label attached to the grilled eel package to describe what kind of eel it is. While there are four eels used for grilled eel – Japanese eel, European eel, American eel and bicolor eel – because grilled eel is a processed item, writing only “eel” is no problem in terms of rules. Although in 2013 the Fisheries Agency requested voluntary labeling of Japanese eel, few supermarkets do so. Akiko Tsuchiya of Greenpeace Japan said retailers should be required to label what species is contained in all boxes of grilled eel. For its report, Greenpeace bought eel at the 18 shops and had an external DNA laboratory conduct genetic testing. The organization said the most confusion was between Japanese and American eel. The tests found one product labeled as grilled Japanese eel was actually American eel. Greenpeace said that it is proof that the supply chain from the glass eels to the shop is wrapped in darkness. 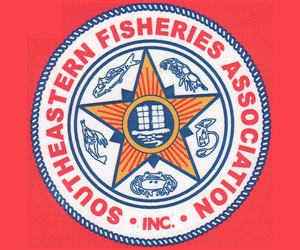 May 9, 2018 — BREWER, Maine — Interstate fishing managers are considering a host of changes to the way they regulate commercial eel harvesting, and public hearings about the subject are getting started in New York. 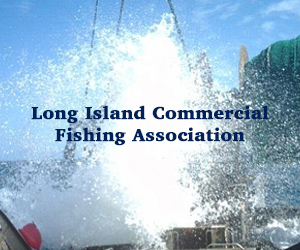 The Atlantic States Marine Fisheries Commission is holding the hearings in May and June from Florida to Maine. The first hearing is on Wednesday in New Paltz, New York. The commission is considering making changes to the eel quota system. The February/March 2018 issue of Fisheries Focus is now available at http://www.asmfc.org/uploads/file//5ac2a81dFishFocusFebMarch2018.pdf. 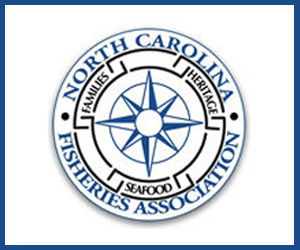 Past issues of Fisheries Focus can be found at http://www.asmfc.org/search/%20/%20/Fishery-Focus. April 11, 2017 — The chilly rivers of Maine are causing trouble in the world of sushi. The state’s brief, annual season for baby eels is off to a slow start because of a cold spring that has prevented the fish from running in rivers. The baby eels, called elvers, are an important piece of the worldwide sushi supply chain. They’re sold to Asian aquaculture companies — sometimes for more than $2,000 per pound — that raise them to maturity and use them as food. Maine has the only significant fishery for elvers in the country, and fishermen are limited to a quota of a little less than 10,000 pounds (4,500 kilograms) per year. The season started March 22, and state records say fishermen have only caught about 1,050 pounds (475 kilograms), so far. They have until June 7 to try to catch the entire allotment, which means they are well behind pace. The average temperature for March in the Portland area this year was 28.8 degrees. The normal average is 33.5 degrees. Fishermen said they are confident the season will pick up, as some warm weather is forecast for Monday and the rest of the week in southern Maine. Fishermen catch the elvers in rivers and streams with nets, and sell them to dealers. So far, they’re selling for $1,487 per pound at docks, state records say. Elvers are a major fishery in Maine, and fishermen’s ability to reach quota fluctuates year to year. They reached quota in 2014, fell far short in 2015, and just about reached it last year. Early spring weather, which can be hard to predict in Maine, has emerged as a deciding factor in whether fishermen will reach quota.